As an airline pilot, I get to meet a great deal of people, explore cities, and landscapes around the world. One of my constant travel companions is my camera. 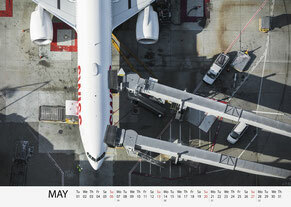 These photographs in this calendar were taken during my flights this past year. 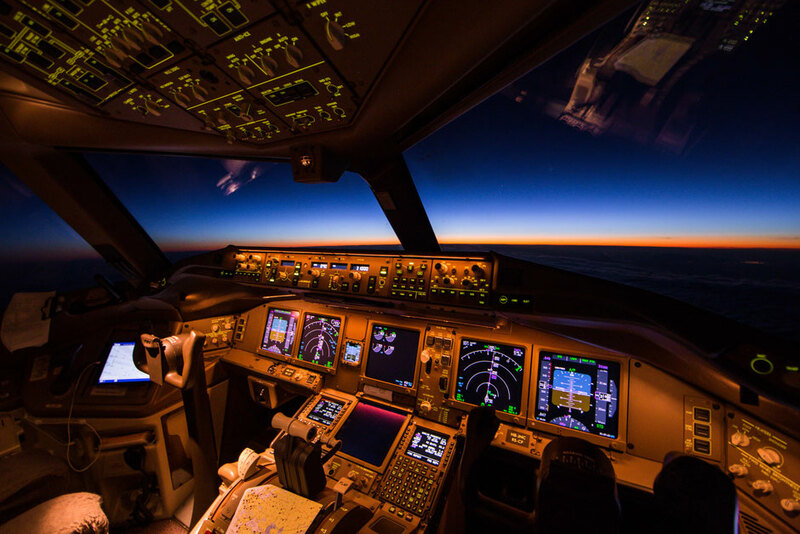 In this manner, I can to invite you to take a seat in the cockpit and experience the world from a pilot’s perspective. I would like to take this opportunity to thank all involved in making this project possible. A special appreciation goes out to my fellow pilots, internal departments for their support, and permission to use the images. All pictures were either taken during the non-sterile phase of the flight, on the ground, or as an observer in the third seat. It's an honour that my creative work was selected among the winners at the International Photography Awards 2018. 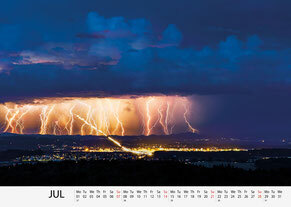 I am very proud to inform you, that by purchasing this photo calendar you are supporting a cause for good. For every copy sold, I donate CHF 5.- to the children foundation of the SWISS employees (Stiftung Kinderhilfe des SWISS Personals). Visit www.swiss-kinderstiftung.ch for further information. Thank you very much for your support. This project is produced entirely in Switzerland and promotes an effort for the global climate issue. To be carbon-neutral, all arising CO2 emissions are compensated by donations towards projects of MyClimate. From wood processing to the finished print, the production takes place in accordance with FSC-standards. Therefore, the used paper originates from environmentally-friendly and socially acceptable managed forests. This Boeing 777 and its crew are welcoming their guests for a trans-Atlantic journey to Miami, just as their colleagues on board an Airbus 330 are climbing into a beautiful, but cold winter’s sky above Zurich Airport. As we are climbing into the night sky above Hong Kong, a wide left turn offers us a wonderful overview of the bustling metropolis and its glowing city lights. A few minutes ago we took-off from runway 07R at HKG Intl. Airport and the crew of LX139 and its 343 passengers are settling in for a 12 hours journey to Switzerland. 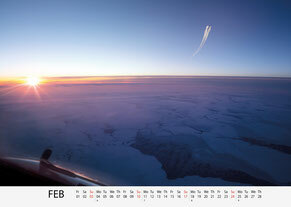 A beautiful sunrise greets us somewhere over the vast sea of ice of the Labrador Sea. Just as the first rays of sunlight are piercing through the serene morning sky, we can spot the west coast of Greenland on the horizon and the silhouette of a Boeing 747 and its impressive contrail. A Bombardier C Series 300 is showing its sleeky silhouette in front of the futuristic Airside Center at Zurich Airport. It has started-up its engines and is about to taxi out to its departure runway. 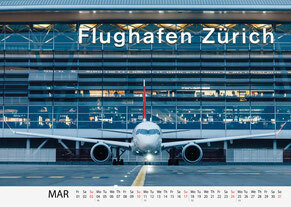 A short hop across the Alps will take LX1612 to Milan and the sunny weather of Northern Italy. Moderate precipitation mixed with gusty crosswinds offered a challenging approach for this Airbus 330 flight crew. After a smooth touchdown, the gnarly weather welcomes us to New York JFK airport. A seven-hour journey across the Atlantic Ocean is about to come to an end. 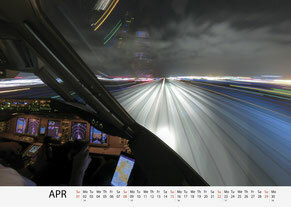 Flying an airliner takes us to the edge of the atmosphere while flying almost at the speed of sound. To cope with the everyday challenges of our job, it is essential to be fully familiar with the complex, yet very redundant systems. Intensive training and personal effort make us feel home at his office above the clouds. A typical American backdrop is welcoming LX40 to California. After an 11-hour long-haul flight halfway around the globe, this B777 is nicely established on final approach at Los Angeles Intl. Airport. 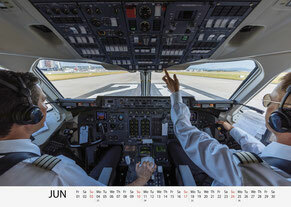 All checklists have been completed and the pilots are fully focused to land the heavy airliner on runway 24R. A hot summer’s day is about to come to an end as mother nature is putting up an impressive show. Some intense convective weather is passing to the east of Zurich Airport and its intense lightning activity illuminates the night sky while the late night arrivals for runway 28 are in full swing. 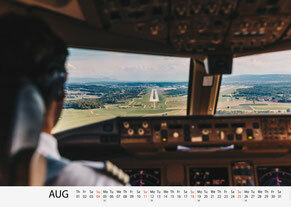 A hot summer’s afternoon greets us at Zurich Airport as we are approaching runway 14. Its three runways take us to almost all corners of the world. 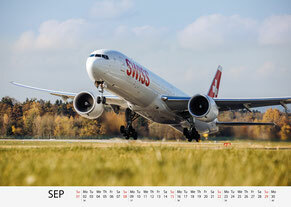 But, touching down on them also means coming home to the 5’700 crew members at SWISS. 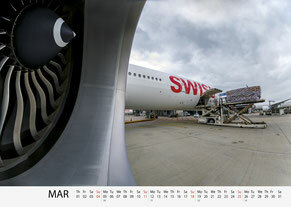 A powerful scene as the flight crew of this Boeing 777 takes off at Zurich Airport bound for the US west coast. While accelerating down the runway, the wings start to create lift, thus starting to slightly flex under the tremendous forces that are needed to lift the heavy airliner into the autumn skies above Switzerland. All checklists have been completed, the air traffic controller has cleared us to land and the synthetic voice of the radio altimeter started to count down our height above ground. 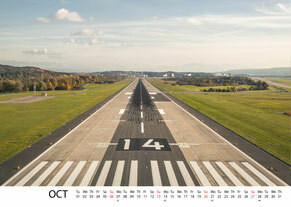 Enjoy the pilots’ vantage point as we are fully focused to land at Zurich Airports runway 14. 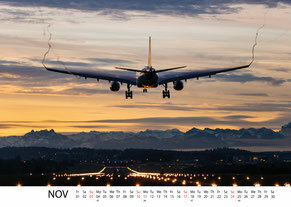 A serene morning scenery is framed by the stunning Alps in the background this Airbus 330 is about to land back home. 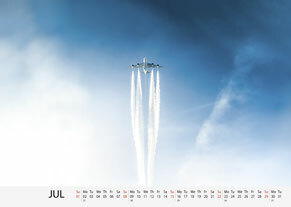 The humid air creates vapour trails and condensation effects along the wings as it is moments from a smooth landing. It will mark the perfect end to a long night flight across the North Atlantic Ocean. We are soaring through the night sky above Turkmenistan, following the milky way on our easterly course. 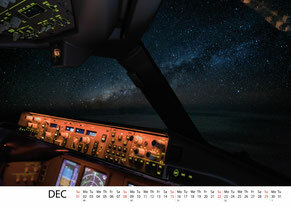 We have just dimmed the lights on the flight deck to fully enjoy the ocean of stars shining brightly above us. Only occasional radio chatters fill the quiet airwaves as we are bound for Bangkok, Thailand. 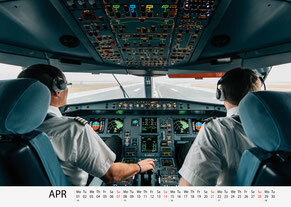 Did you enjoy these impressions from my daily life as an airline pilot? Head over to my shop to get your copy today. I would like to take this opportunity to thank all involved making this project possible. A special appreciation goes out to my fellow pilots, internal departments for their support, and permission to use the images. All pictures were either taken during the non-sterile phase of the flight, on the ground, or as an observer in the third seat. It’s the crack of dawn south of Greenland when the first rays of sunlight pierces through the misty morning sky. We are flying into another warm and beautiful summer’s day. Some intense snowfall has covered the airport with a thin layer of powder and keeps the ground crews busy; clearing the runways, taxiways as well as de-icing the mid-day departure wave that’s in full swing. 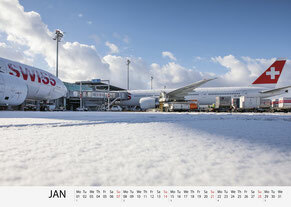 A beautiful winter scene at Zurich Airport as these two long haul aircrafts are getting ready for their transatlantic journey. A calm sunset greets the cockpit crew as they head into the approach at Zurich Airport. 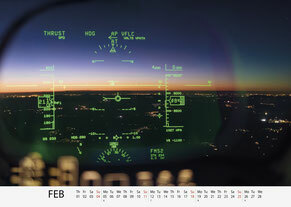 The head-up display on the flight deck of the Bombardier C Series offers its pilots a better overview on the important flight parameters while keeping a good lookout. I am inspecting the starboard engine of our Boeing 777 before departure. These two marvels of technology will soon take us into the sky on our long journey across the Atlantic Ocean. The massive GE-90-115B engine is the most powerful jet engine in the world and boast a 3.2m diameter which could fit the fuselage of an A320. We are fully focused as we are thundering down 25R at LAX. A Boeing 777-300ER can weigh up to 351t at take-off. Today, it takes us about one minute, 2.5km of runway, and speed of approximately 300km/h to lift this aircraft into the air. LX39 is getting ready for its long journey back to Switzerland. The ground crew at San Francisco International Airport is busy loading cargo, baggage, and catering. Soon it will lift-off into the evening skies of California carrying 340 passengers, 17 crew members, and 20 tones of cargo. 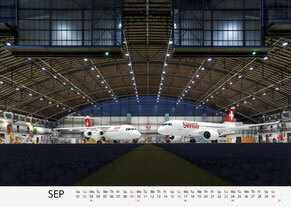 It’s one of the last days of the Avro RJ100 at SWISS before its retirement. 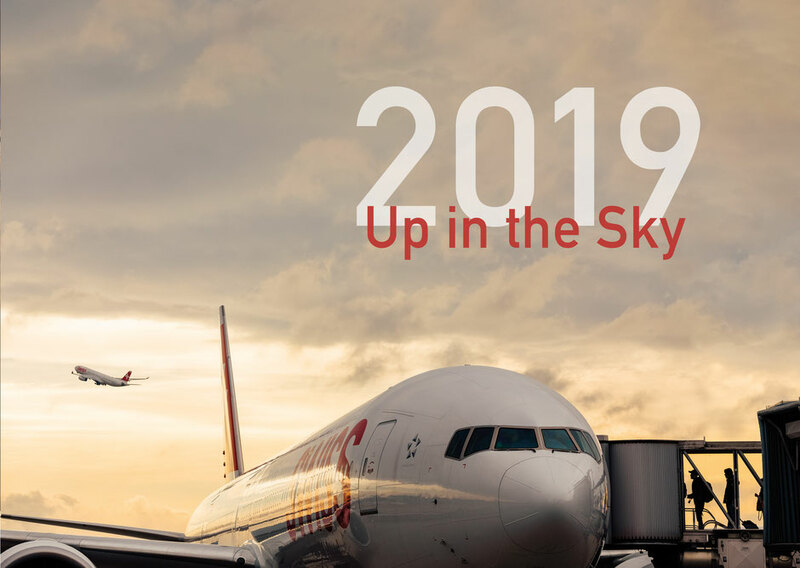 The pilots are concentrating on the upcoming flight phase as the air traffic controller clears the morning flight to Milan Malpensa for take-off: “SWISS 612Q, winds calm, runway 28 you are cleared for take-off”. We are flying along the airways above Georgia when we spotted this Airbus A380 painting an impressive contrail. They appear at high altitude when water vapors in the exhaust of the engines mixes with the surrounding cold air. 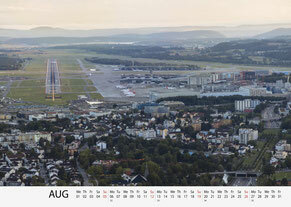 A serene summer’s morning greets us at Zurich Airport as we are approaching runway 34. Its three runways take us to all corners of the world. 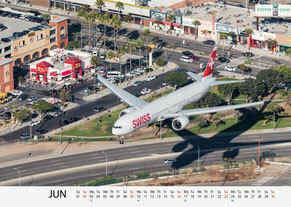 But, touching down on them also means coming home to the 5’700 crew members at SWISS. Its been a year now since the last Jumbolino left our fleet. While preparing for its retirement, he met with its successor, the Bombardier C Series. After the lights of this hangar at Zurich Airport went out and all the people had left, they might had a little midnight chat about flying. A sea of lights as far as the eyes can see; it is the sprawling metropolis of Los Angeles passing us by. Soon, these lights will fade away and we will be engulfed by the night sky until the sun rises over the horizon. To me, this is by far the greatest office window one can get, bested only by Astronauts. This CS-100 is treated on Pad Charlie at Zurich Airport. It’s this time of the year again when cold air and precipitation covers it with a thin layer of frost. To get the aircraft clean and ready for flight, the ground crew either applies a one- or two-step procedure. This depends on the weather conditions and deposits on the airplane’s surfaces. 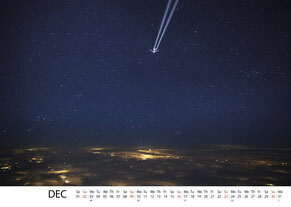 An ocean of stars is shining bright above us during our long journey home from Singapore. Only occasional radio chatters fill the quiet airwaves of this silent winter night over eastern Turkey. 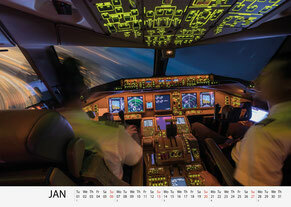 It’s good to be flying along side our colleagues in their Airbus 330; flight LX147 from Mumbai. Flying through the night, while the world beneath us is at sleep, is a pretty common thing as a longhaul pilot. Late evening departures lead to far distant destinations like Singapore, Hong Kong, Sao Paolo or J’burg. Depending on the direction of the flight the crew and the passengers either have a short night up ahead if flying eastbound or almost eternal darkness if headed westwards. The latter is the case for my todays flight across the Atlantic Ocean to South America. Our flight is packed and some 340 passengers are settling in for a long night flight. Its my turn to be at the flightdeck for the first part of the journey, as my other co-pilot gets the chance to rest in the crew bunk above the passenger cabin. We are heading our westbound, along the clearly visible Alps to our left. Just before reaching Geneva and the western tip of Switzerland we are making a shallow left turn to join the Rhone valley leading us to Marseille and onward onto the Mediterranean Sea. Our routing will bring us towards Algeria and on across the northwestern part of the vast Sahara. We will be flying past Dakar in Senegal where we will be heading out onto the Atlantic Ocean. Our south-westerly course will get us across the wide blue – in fact it was pitch-black during the night – to the north eastern shore of Brazil. Landfall is expected just north of Rio de Janeiro and the remaining few hundred miles will get us straight towards Sao Paolo. Our landing is expected around 6am local time, still before the sun will rise. The chatter of the French and Spanish ATC accompanies us for another hour, we get changed over to Algiers and past the bright city light of the capital of Algeria towards the Sahara. Tonight will be a special night, since its one of the few nights every August where countless shooting stars will be seen all over the night sky. Deriving from constellation of Perseus, these meteor showers will guide us through the night. Enjoy this timelapse video of my night flight towards South America, a short impression of the view that night. Being an airline pilot gives me the exclusive opportunity to catch views and sights not everybody gets to see often. Among these rare moments up in the sky are sunrises and sunsets, something I can barely get enough. And as a rookie to long haul flights I am still getting used to those long nights aloft. But as an admirer of the blue hour, of course I get the sights I love the most. Going to the airport for a late evening departure makes me cross path with all the people working the casual nine-to-five routine. As their workday is already over, mine is just beginning. Our operations center at Zurich Airport gets again busy as we have a few long haul departures just before the night curfew kicks in. The crews are gathering, briefing and planning their flight to some far distant destinations like Hong Kong, Singapore or Sao Paulo. After all the flight planning has been done, our colleagues from the cabin crew met and the security control passed we are heading out to our aircraft. This happens some one hour before the actual departure. While the cabin crew prepares the cabin, the pilots are busy getting the planned route loaded into the flight management computers and get all the aircrafts systems ready for flight. Together with the ground crew we are doing the outmost to depart on time. So, while the aircraft gets fueled, the handling crew loads the baggage and cargo and the passengers start to embark. As all worked out perfectly, we make an on-time departure and start the giant GE90-115 engines during the pushback. Some few minutes later we find ourselves roaring down the runway and taking-off into the cold winters night. Since we are three pilots on this flight, every one of us gets the chance to rest for some time while the other two fly the aircraft. The captain usually gets the filet, meaning the middle part of the flight, while the two first officers rest at the beginning or the end. I have a long night ahead, as my todays assignment makes me sit in the cockpit for the beginning part. After some three hours we are about to leave Europe behind as we are flying out over the Caspian Sea just to the north of Baku, the capitol of Azerbaijan. One may think that the skies get quiet too during the nights, but in fact they tend to be pretty busy in some areas too. As we are making our way into the airspace of Turkmenistan we are heading into a new day too. It’s now time for the first shift change and the captain to get some rest in the crew bunk. This private retreat for the crew is located above the main cabin and offers two beds and two chairs to relax or even get some sleep. 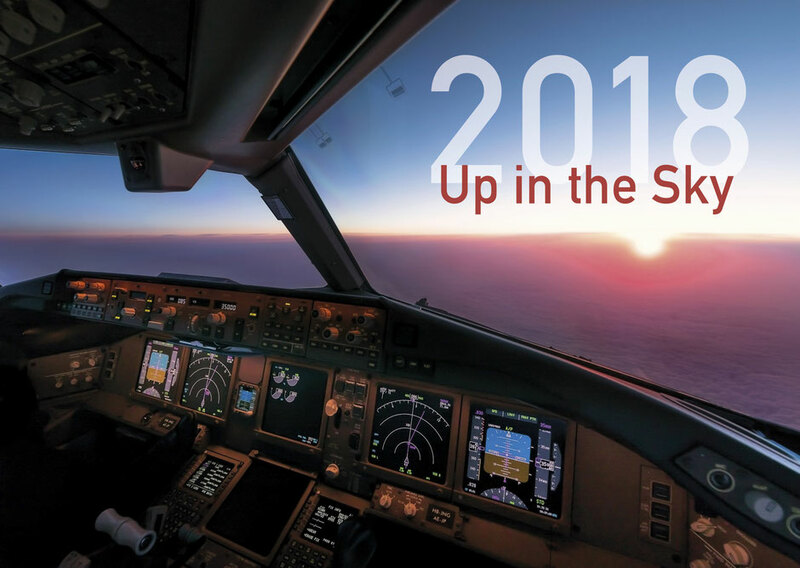 While the routine tasks keep us busy in intervals there is always some time during the cruise phase of the flight to enjoy the beauty that is our there. The good thing about flying across remote and therefore rather unpopulated areas is the fact that the light pollution is slim to none. 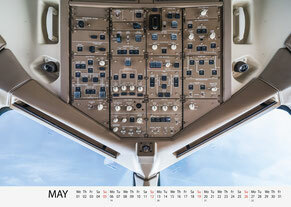 These are the moments I get close to the window and enjoy the panoramic view offered to us on the flight deck. Everyone and then I spot stars that are shining brighter than many surrounding him. I always imagine, that these are the stars inhabited by family and friends I have lost and as they are helping me to get safely through the nights by shining brighter than all the others. “SWISS ONE-THREE-EIGHT contact TURKMENABAD on 131.850”; the chatter on the radio takes me back to another routine task. While I switch the radios to the aforementioned frequency the first sings of a new day show up on the horizon. A very slim silver band secedes the world below from the night sky above. Since we are heading eastward it’s like putting the time on fast-forward. Shortly later, the silver band started to alter in color and amplify in size. The first light of every day is so fragile, yet so mellow. The deep blue of the night swiftly changes into a soft orange and later yellow. The sun is rising below the horizon not yet visible to us, but still letting us know that a new day is about to begin. To our sides, the night still firmly clutches the sky in dark colors fading into light eastwards. The starts slowly start to fade, taking a break before yet shining bright again the next night. This short period of time, not yet day, not quite night are among the most pristine aloft. Everything seems in perfect order yet so sublime. Soon the blue hour will yield for a new bright day. 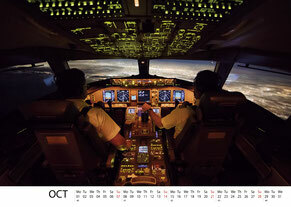 Fall keeps not only the pharmacies busy – also we pilots get challenged quite frequently. As summer enjoys some time off on the southern side of the globe, some impressive weather systems keep moving in and across Europe. These frontal systems are quite likely accompanied by gusting winds, dropping temperatures and gusty winds. The closer we get to the ground, the smaller our margins for errors get and gusty winds are among those factors not likely to ease a landing. I’ve been flying in and out of London Heathrow many times during my time on shorthaul. My logbook totals some 98 landings at LHR performed by me as pilot flying. Arriving across the Channel we usually pick up a BIG3B arrival into EGLL – as the airport is also know in the world of abbreviations. Quite frankly the airport is operating at its capacity limit resulting in us having to be a little patient before commencing our approach and landing. Each and every airport has some holding areas where the planes queue for their turn. This so called holding pattern normally consists of a 180° turn followed by a one-minute straight flight before doing another turn. Today LHR is very busy again, resulting in some twenty minutes delay for our flight. Will circling over the Biggin Hill Airport southeast of the metropolis the Captain and I are going through the approach ahead of us. The latest weather report indicates some strong southerly winds and a low cloud ceiling. My job will be to select the proper commands at the autopilot to intercept the final approach path and stabilize the Airbus for it’s landing on runway 27L. As we go through our briefing I mention the important steps and my intentions. My focus is put on the specials we are soon going to face, or one could also call it the challenge. The main hub of British Airways and the gateway of London to the world is equipped with two parallel runways, facing east west. To accommodate the impressive amount of traffic one runway is mainly used for landings while the other handles the departing planes. In between the two runways are the terminal concourses as well as the maintenance area with its huge hangars. They are sitting right next to the runway heads of 27L/R and are well know to cause some nice wind rotors right by the time we are about to settle the aluminum bird softly onto the concrete. Among the dense traffic situation this is one special LHR offers us during weather as this day. “SWISS THREE ONE EIGHT complete the orbit over BIG and leave heading 260 degrees, speed 220 knots”, a precise instruction by the ATC calls and end to the almost 15 minutes waiting in the queue. Shortly there after we will be instructed to continue our descent and after a series of heading changes will be intercepting the localizer of the ILS (instrument landing system). I will fast forward these remaining 10 minutes to landing and focus on the last seconds before touchdown. The autopilot did a hell of a job, getting us properly established on the approach path. Our gear has been lowered, the flaps set and all the checklists completed. A few minutes earlier we started to feel the wind. It has been giving us some nice shakes and bumps as we are making our way towards the runway. My captain acknowledges the landing clearance the last puzzle piece completing all our preparations for the landing. My brain is fully focused and the ringing sound of me disconnecting the autopilot and thus taking manual control of the aircraft just adds a boost to it. We are going faster as usually to compensate for the gusting winds, racing for the runway at a mere fifty meters per second. I get some nice bumps of the wind and gently correcting our flight path to meet the touchdown zone. “One hundred”, the plane talks to me, saying that I am getting roughly 30m above the ground still focusing on maintaining the descending flight path. Soon I will start to compensate for the wind. In order not to be put off by the crosswind I keep veering the airplane into the wind, something I need to correct by the time we touchdown. This is done turning the nose of the aircraft towards the runway and applying some aileron into the wind. So I am basically flying with crossed controls going some one hundred and forty something knots. “Fifty”, we are now over the runway and I shift my focus into the infinite. This helps me to catch my vertical approach towards the runway. “Thirty”, the airplane is almost aligned with the runway banking slightly into the wind, while I gently starting to pull on the side stick slowing that descent. “Twenty, Ten”, Mr. Jean-Paul Airbus (as we use to call the airplane) tells me that we are about to touchdown and only a few meters are between our gear and the 4000 meters of concrete ahead of us. I pull back the thrust lever, cutting the thrust of the engines down to idle and keep adding some backpressure to keep that nose up where it should be. Here we are, certainly not the gentlest one, but a safe one for sure. Our Airbus has firm contact with the ground and I apply the reverse thrust and start braking to slow these 63 tones of pure engineering down. A few moments later we are vacating the runway, making our way to the gate just in time.